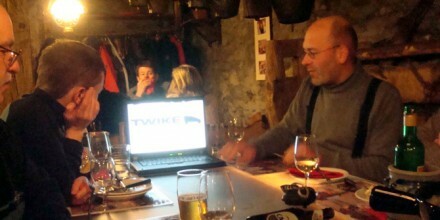 4feb12 the twike-club had one of its three annual meetings in churwalden, switzerland. 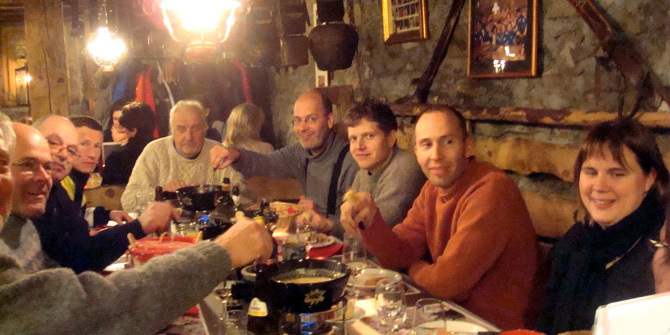 traditionally, at this churwalden meeting we gather to have some fun during the day, build up some hunger and then converge onto a converted stable in a 400 yr old building where we eat a fondue, a typical swiss dish in a very rustical and authentic environment. typical swiss scene in winter at many restaurants: fondue! mmmh! the drive to churwalden was cold, but fun > remember, i’ve not been driving any TWIKE since december19! about 15 people were there to see the WAVE presentation i prepared and everyone liked the stories and pictures we had in store. in churwalden, being at about 1800mtrs above sea level, that evening by the time we left the restaurant, the temperature had dropped to -24°C with slight snowfall. 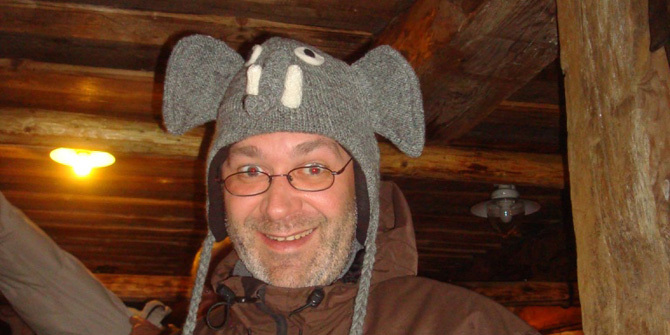 i was really glad to return home by train, since i had a commitment feb5 early morning > everybody liked my india-inspired elephant hat! i will be holding further presentations on the WAVE during 2012, next one planned is apr12. if anyone wants to organize an additional presentation – please get in touch with me.